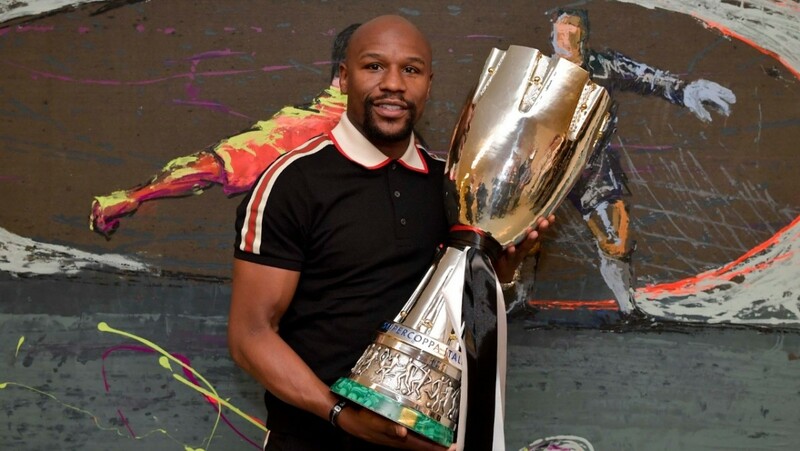 Pound-for-pound boxing great Floyd Mayweather was in Jeddah to watch the Supercoppa Italiana as Juventus took on AC Milan in Saudi Arabia on Wednesday night. 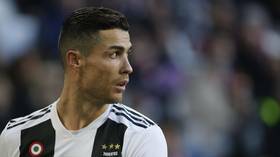 Juventus ran out 1-0 winners, thanks to Cristiano Ronaldo's 61st-minute header, as the club known as "The Old Lady" claimed its eighth Italian Super Cup victory in their long and decorated history. 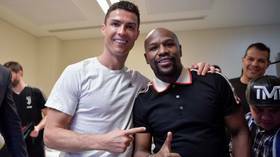 After the match, pay-per-view boxing superstar joined the Juventus team with the celebrations in their dressing room. And the boxing star also got his hands on the Supercoppa Italia trophy itself as he was welcomed into the Juventus dressing room like an old friend. 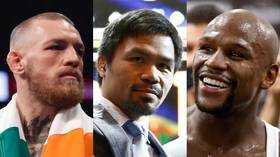 Mayweather's last sporting appearance came on New Year's Eve, when he stopped Japanese kickboxer Tenshin Nasukawa in an exhibition bout at Rizin 14 in Saitama, Japan. 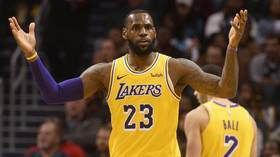 And although he remains officially retired, he has been frequently linked with potential match-ups with Manny Pacquiao and even UFC lightweight champion Khabib Nurmagomedov.